Whether you are planning to move your facility or are starting up a new company, there are several critical factors that you need to keep in mind when selecting a location. This two-part Power Tip will not only help you sort out your variables, but also open up your thinking to options that you may not have known were available to you. Exploring alternative office and warehouse business locations can increase your chances of finding the perfect place for your company. Considering only traditional options, such as leasing or purchasing a property, could cause you to miss out on the very location that meets all your needs. Be flexible on location. For example, if your target customers are in New York City, you may want to search outside the city. Why? Rental prices in NYC rival the height of the skyscrapers themselves. Also, it may be challenging to find sale properties exactly where you want to be. If there is no absolute reason to be in the city proper—other than having a NYC address, then you may want to search the “Greater” New York area, which by being purposefully vague, gives you a wider range of options. Be open to alternative types of set-ups. 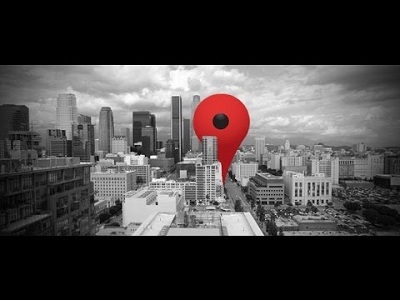 Depending on the type and size of your business, you may want to opt for an alternative location model. Shared spaces, virtual offices and alternative workspaces can give you low-cost access to business and warehouse space. Co-working Spaces: This is where two or more unrelated companies share the same work area. It may be an office, loft or other non-traditional space. Besides lower cost, benefits include an exchange of ideas between professionals and a sense of community. Office Sharing: Office Sharing enables companies to have an office in a prime location that they share with other businesses to save on cost. Leased Spaces: One business that owns a space may lease certain areas, such as conference rooms, individual offices or storage to other businesses on an hourly/daily/weekly, etc. basis. Serviced Offices: This is a fully-equipped office or building that is managed by a property management company that rents out offices or entire floors to businesses. The space is on a pay-as-you-use basis and often offers a range of perks and conveniences. Virtual Offices: Services include a dedicated local phone number with a receptionist to answer calls, pay-by-the-hour fully equipped conference rooms and offices for scheduled meetings with clients—all in a prime location with a virtual address where you can mail and receive packages. Shared Warehousing: Shared, multi-tenant warehouses enable smaller or seasonal companies to only pay for the space and labor that they use at specific times during the year. Companies like Regus, PivotDesk, InstantOffices and ShareDesk offer one or more of these options. They could be a great place to start exploring whether non-traditional workspaces could be a good fit for your company. The key to capitalizing on these alternative models is to determine exactly what your company needs in its new space. For a practical overview of the variables to keep in mind as you search, see tomorrow’s Power Tip #15, “Finding the Perfect Location for your Company” Part 2.